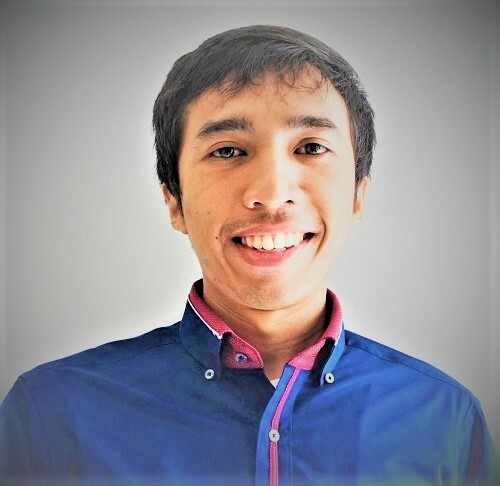 I am a software engineer and currently working for Bukalapak. I'm passionately in love with technology, especially IT. I'm a self-motivated and adaptable person. I'm always eager to learn something new, whatever it is. I love sports, especially football, and I also love playing music. The next thing that made me became more interested in IT world is when I have an internet connection at home. I remember it was 2009. At that time, I also went to vocational high school and took the Computer and Network Engineering major. I started my blog in 2009 and learn HTML & CSS because of it. I didn't know that there were many free templates available for Blogger. So, I modified the default template by myself 😅. At school, I got many knowledge and skills about computer and networking. I learn the components of a PC and then I can assemble a PC. I learned to set up a local area network (LAN) and also wide area network (WAN). I also tried many operating systems besides Windows, such as Free BSD, Mikrotik, and many Linux distros. I remember I even made my laptop quad boot by using Windows, Ubuntu, Slackware, and Backtrack. I did it on purpose, of course. I spent my 4 years in this school using Linux. Most of the material I got are about networking. I remember I learned about IP, Netmask/Genmask, supernetting, subnetting, routing, building a DNS server, Proxy server, Mail server, etc. I honestly like them all but then I realize that these are not really my thing. I'm more into a software engineering rather than this networking or IT infrastructure things. So, after I finished the school, I decided not to looking for a job. I wanted to go to college. Apart from being a software engineer, I love sports, especially football. Until junior highschool, I still wanted to become a professional football player. But after I went to vocational highschool, I became more realistic haha. I ended up just making football as my hobby, not to be my profession. I have a dream to watch a world cup match live in the stadium. Hopefully someday I can make it true. Aamiin. I also have an interest in music. I love playing guitar and singing. Some of my friends told me that I have a good voice. They suggest me to become a professional singer but I don't want to. I think I'm not good enough to become a professional singer and also I love software engineering more than music because I think I can make a greater positive impact to other people if I become a software engineer than a musician. I always remember these words "Khairunnas anfa'uhum linnas" which means "The best of people are those that bring most benefit to the rest of mankind". Those words got stuck into my head since the first time I hear about it. It is written on my organization jacket when I was in vocational highschool. I'll never forget it. Bukalapak is one of the largest online marketplaces in Indonesia. I work here as a software engineer, specifically back-end. I'm very interested in Bukalapak and I have been a Bukalapak customer since 2015. Bukalapak has a vision that is aligned with my goals and dreams. So when I graduated, honestly, I wanted to join Bukalapak as a software engineer, but I didn't get permission from my parents because Bukalapak office is located in Jakarta (I didn't know Bukalapak has a branch office in Bandung). I need to stay in Bandung for family reasons. So, I applied to another company, Xtremax Indonesia, which is located in Bandung. I worked there as a back-end developer. One day, someone at Bukalapak contacted me via LinkedIn. He invited me to join Bukalapak and asked me to send my CV if I'm interested. He told me that the software engineer position can be located in Bandung but the recruitment process still need to be conducted in Jakarta. I'm very interested, of course. So, after thinking carefully, I decided to apply to Bukalapak as a software engineer, back-end. I passed all the tests and they offered me the job. It was May 28th, 2018. They offered me much higher salary than I expected plus attractive benefits. So, I accepted the offer without a doubt. They wanted me to join them as soon as possible, but I couldn't just leave my team in Xtremax. So, I could just join Bukalapak in August 2018. Aside from being a software engineer, I enjoyed most of my time being indoors at home. I watch movies and read books/comics/manga. There are lots of good movies and books, but my favorite genre is mystery. In the manga world, my favorite is Hunter X Hunter (HXH) by Yoshihiro Togashi. I don't know why, but I really like it. HXH is a part of my childhood life and it really touches me so I can't forget it even today. I also spend my time writing about anything on my blog. I love to write because one day I can come back to see my writing and feel nostalgic by it 🙂 The best feeling about writing is when the readers feel happy and helped by the writings. I'm happy just to see a "Thanks" comment on my blog post. It makes me feel useful and helpful to other people. In addition to blogging, I also spend lot of my free time exploring the latest technology advancements in the software engineering world. I'm very interested in football. So, I often spend my time watching football matches and read articles/news about football. I think I have a good knowledge about this sport hahaha. My favorite football player is Ricardo Kaka from Brazil. But if we talk about the best (in my generation), then I would say Lionel Messi and Cristiano Ronaldo. I'd say them the bests because they have been playing consistently incredible in at least ten seasons. It's just Wow! Both Messi & Cristiano are living legend. But if I have to choose one, then my choice goes to Messi. He plays beautiful football. He has a great vision that only few players have. And more importantly, he has skills to support his great vision (he is the best dribbler and passer). Unfortunately, till today, he's still can't carry Argentina to win a major trophy. Neo4j Certified Professional (April 2018, Licence Number : 16695748) - Neo4j, Inc.